​Priscilla Lalonde is a Kokum (grandmother), mother, daughter, auntie, sister and friend. 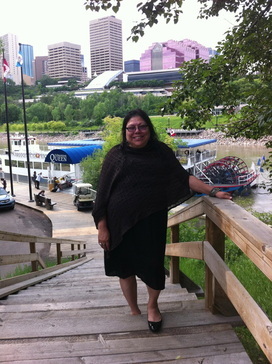 She is Neheyaw, Woodland Cree, treaty from Driftpile First Nation (through her father) and Metis (through her mother). Priscilla lives on an acreage in Northern Alberta. Priscilla has had the honor of being in the helping field for almost fourty years. She graduated from the U of C with a Bachelor of Social Work degree in 1990.She has worked in the areas of addictions, child protection, family violence prevention and mental health. She has volunteered on many Boards, Committees and other helping agencies in her effort to contribute to her home area. She has been able to integrate these profession and personal experiences in her current work. Priscilla started her business called Aspenroad Resources in 2004. She is self-employed as a contractor providing training, facilitation, program development and evaluation services. Priscilla is a recipient of a CASP (Canadian Association of Suicide Prevention) Award in 2003. This award is for her work in the area of Suicide Prevention. Priscilla is also a recipient of an ESQUAO Award in 2015. She received this award in the area of Health and Medicine. It recognized her work in the area of Suicide Prevention.